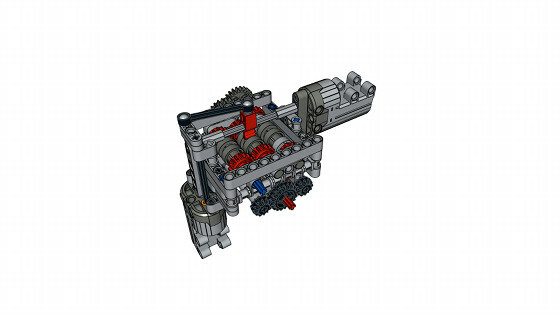 A 6-speed transmission controlled remotely by two PF Servo motors. Instructions available. A while ago I’ve built a 4-speed transmission that could be controlled by two PF Servo motors. 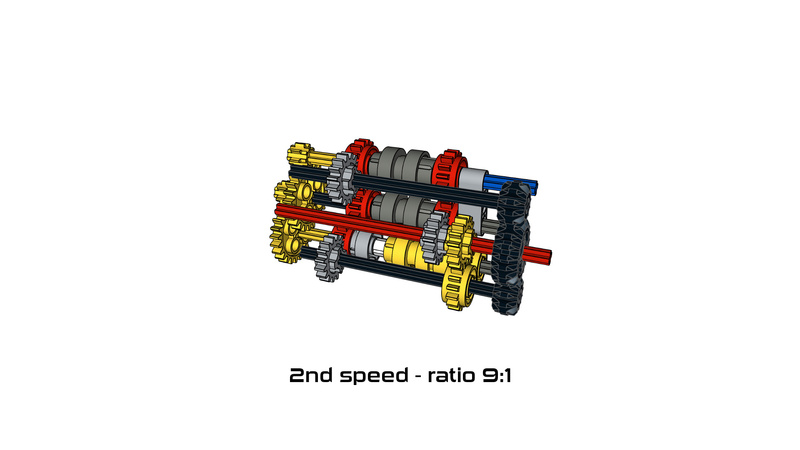 Given how rare and expensive these motors are, it seemed like a waste, even though the transmission itself was pretty compact and useful, and a variant of it has been in fact used in my Audi R8 V10 model. So I was looking for a way to get more speeds out of two Servos, and this is the best solution I could come up with. The transmission is synchronized and non-sequential, meaning that any gear can be selected at any moment. 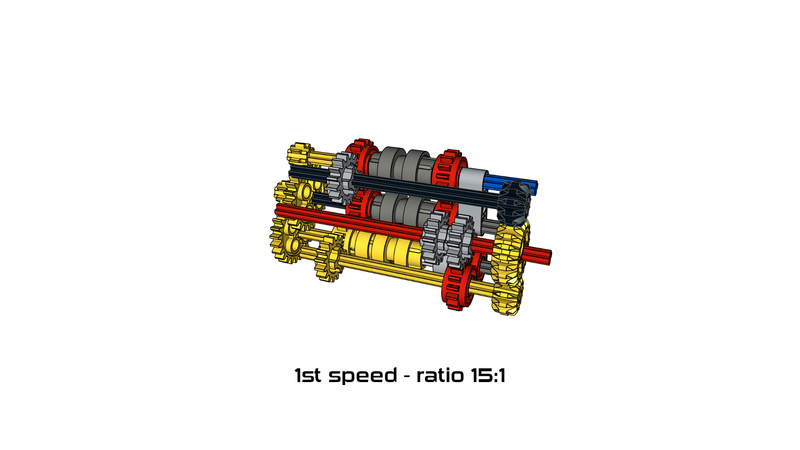 The six speeds offer gear ratios between 15:1 and 1:1, which is probably greater range than most models need. One Servo motor is used to select one of three driving rings while the other engages them. 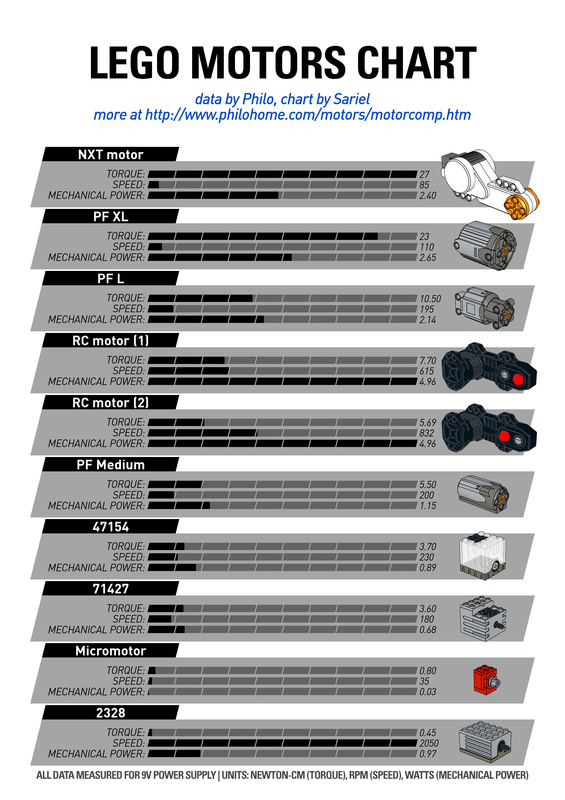 A good deal of attention and accuracy is needed when selecting speeds, although in theory this can be done without actually seeing the transmission: both PF remotes, the regular one and the speed dial one, provide absolute control, meaning that one specific setting of the remote responds to one specific speed of the transmission. They also both have disadvantages: the regular remote allows to shift quickly but requires holding its levers to avoid returning to neutral gear, and the speed dial remote shifts slowly and needs several turns of each dial with every shifting. This is probably one of less practical transmission designs I’ve developed – it’s large, a bit difficult to use and has more speeds than usually needed. Still, it was interesting as a proof of concept, to see how such unusual method of selecting speeds would work, and perhaps somebody will improve upon it. 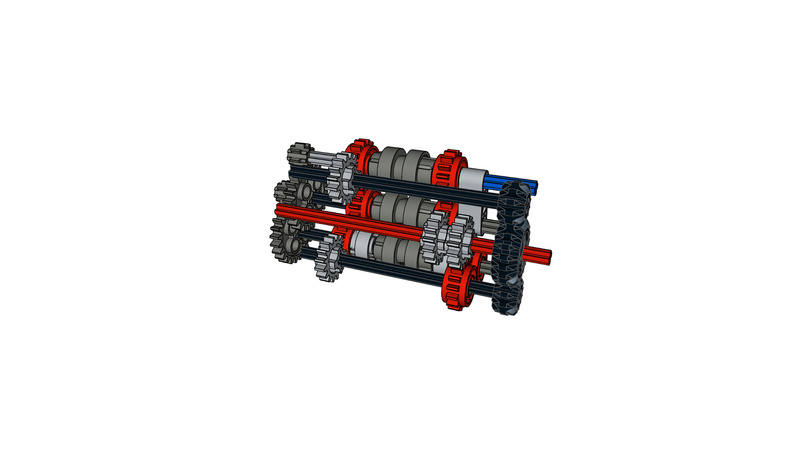 Free building instructions for the transmission are available in the Downloads section. If i modify it it just might work better… 😉 also try using it in a future build… maybe another baja truck? 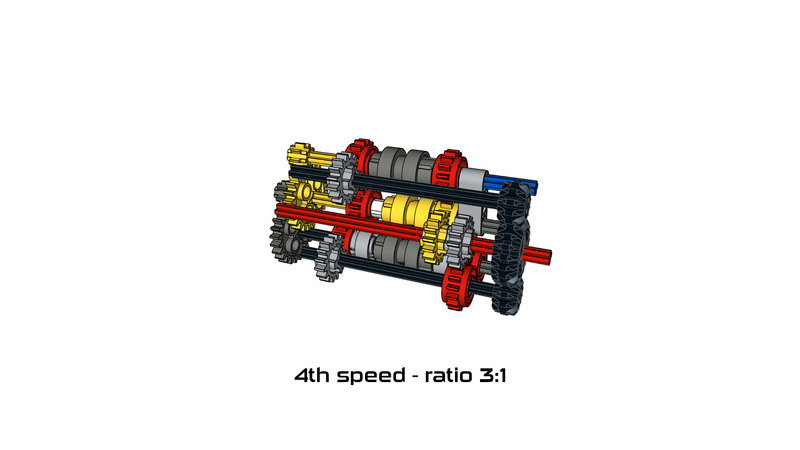 You would need to add some gearing which will create backlash. 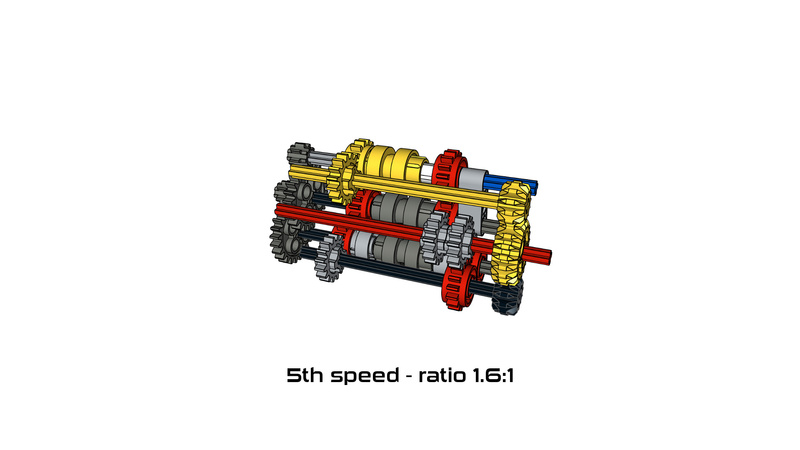 The 6 speed transmission’s selecting servo takes up a crap ton of space – is it possible to place it sideways? W MLCadzie. LDD nie dotykam nawet kijem, to dramat. Cześć, Sariel! W jakim programie robisz projekty swoich budowli ? 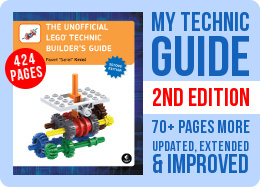 LEGO Digital Designer czy jakiś inny ?